Ex-Bosnian Serb military chief Ratko Mladic, the orchestrator of the Bosnian Genocide (1992-95), is charged on two counts of genocide that was committed against the Bosniak population in the following districts of Bosnia-Herzegovina: Bratunac, Foča, Ključ, Kotor Varoš, Prijedor, Sanski Most, Vlasenica, Zvornik and Srebrenica. United Nations prosecutors are seeking two separate trials for Mladic, in an attempt to speed up the prosecution and ensure that a verdict is handed down to the aging war crimes suspect. 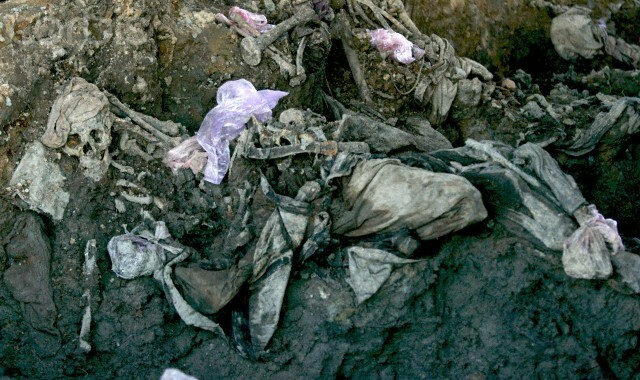 The chief prosecutor for the U.N. war crimes tribunal for the former Yugoslavia says he wants Mladic to first be tried for his role in the 1995 Srebrenica genocide, in which 8,372 Bosniak men and boys were killed. Mladic would then be tried on other charges, including the 44-month siege of Bosnia's capital city, Sarajevo, in which 10,000 people died. UN Prosecutors want to avoid the same scenario as the case with former Serbian president Slobodan Milosevic -- also charged with genocide -- who died in his cell at the UN detention unit in 2006 before the final judgement. Mladic's lawyer Branko Lukic objects the possibility of dividing the process into two parts. "We will object to that," Mladic's lawyer told Xinhua. "That will kill the defense. If we want to appeal in the Srebrenica case, the other trial will also start. That will be too much for us, both things at the same time." On Thursday Lukic had a meeting with judge Alphons Orie and prosecutor Serge Brammertz to discuss the separation of Mladic's trial. U.N. prosecutors expressed concern on Wednesday that Mladic's health may deteriorate before an all-encompassing trial is completed. The lawyer for former Bosnian Serb military chief Ratko Mladic says his client is “well” after undergoing surgery in the Netherlands, where he is awaiting trial on war crimes charges. There are conflicting reports about the nature of the operation. 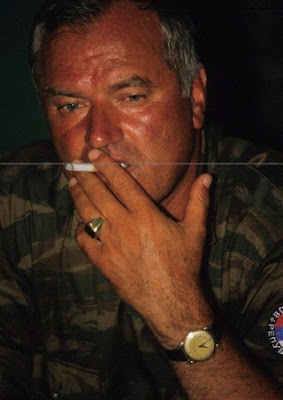 Reuters news agency says Mladic had surgery for a hernia, while the French news agency, AFP, reports it was a slipped disc. A spokeswoman for the International Criminal Tribunal for the former Yugoslavia said Mladic has not left the prison complex where he is being held. But she refused to confirm if he had been operated on at the Scheveningen prison complex. The spokeswoman said tribunal rules did not allow her to share details on the health of detainees. 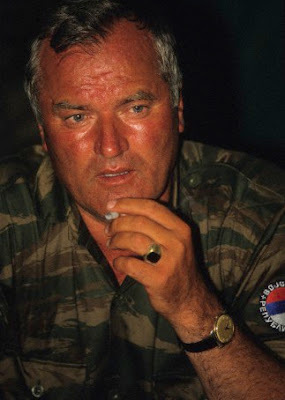 Mladic was arrested in May and transferred to the Hague on charges of genocide and war crimes for the 1992-1995 war in Bosnia-Herzegovina. He is due to appear in court again on August 25 for regular, pre-trial proceedings. 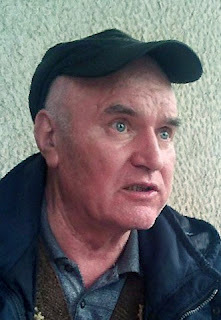 Mladic was arrested in Serbia in May after being a fugitive for 16 years. During his first court appearance in June, Mladic described himself as "gravely ill."
Last month, Mladic appeared at The Hague to face war crimes charges, but was ejected after disrupting the proceedings. A judge entered a "not guilty" plea on all 11 charges against him. Mladic is the last of three top Serbian leaders wanted for war crimes. Bosnian-Serb wartime leader Radovan Karadzic was captured in 2008 and his trial is underway. Former Serbian president Slobodan Milosevic died in custody in 2006 before his trial ended. If convicted, Mladic could be sentenced to life in prison.